ITSI provides a secure and efficient distribution channel for publishers to reach new customers globally. 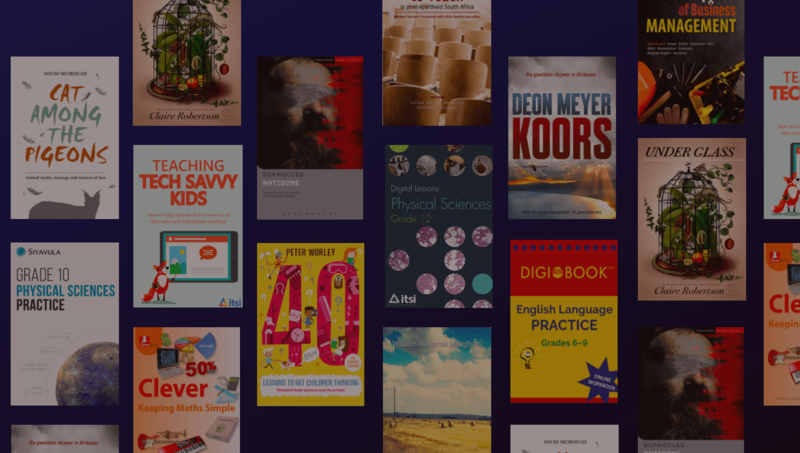 We specialise in the distribution of educational, academic and trade e-books, as well as other digital content. We currently work with over 9 500 publishers who value our easy-to-use solution, because of its unrivaled security. In addition, our dedicated Publisher team is always on hand to provide support to Publishers. ITSI Admin, our publisher platform, supports PDF, reflowable EPUB2 and reflowable EPUB3 e-book formats. Any content distributed to ITSI is automatically encrypted with 128-bit AES encryption upon uploading. Open files are not kept on the platform thereafter. Upload as much content as needed to the ITSI platform as uploading content is free. The ITSI Distribution Fee only comes into effect when content is actually sold. There are no membership or hosting fees required. Through ITSI Admin, our publisher platform, publishers have direct access to their own content. There is no need to wait for ITSI to change metadata or manage titles on a publisher’s behalf, although we will gladly assist. By logging into our publisher platform, publishers can and add or remove content from sale in real-time. Publishers have complete control of their metadata, and any changes applied takes effect immediately. The ITSI e-reader is freely available to anyone who purchases content through ITSI. No other e-readers are required. Available on Windows, iOS, Android, Chromebook and Mac. ITSI is available to assist publishers with general queries, as well as technical ITSI Admin support, e-book uploads, metadata changes, sales reports, marketing opportunities, and events. Content uploaded to ITSI Admin, our publisher platform, can also be made available for purchase on our online retail store, which is accessible to readers globally. Should publishers prefer more in- depth training on how to use our publisher platform, either tutorial videos can be consulted or in-person and telecom training can be arranged. If a publisher has little to no experience with producing and distributing e-books, ITSI can offer guidance and assistance on e-book requirements and development. As an ed-tech company specialising in e-learning, ITSI can provide publishers with additional e-learning information or advice, to help improve publishers’ understanding of and relevance to the e-learning market. ITSI can provide publishers with access to our external and internal marketing channels, including social media posts and campaigns, and banner ads and newsletters. ITSI offers a white label version of our retail store for those publishers who want to distribute their content in their own online retail store. ITSI manages all administration and maintenance of these custom stores. ITSI hosts yearly contact sessions where we share information on updates and changes regarding our platform with our publisher partners. Students, educators and individuals who purchase content through ITSI have access to our dedicated helpdesk team, to assist them with a range of queries, which helps improve readers’ user experience with ITSI and digital content as a whole.